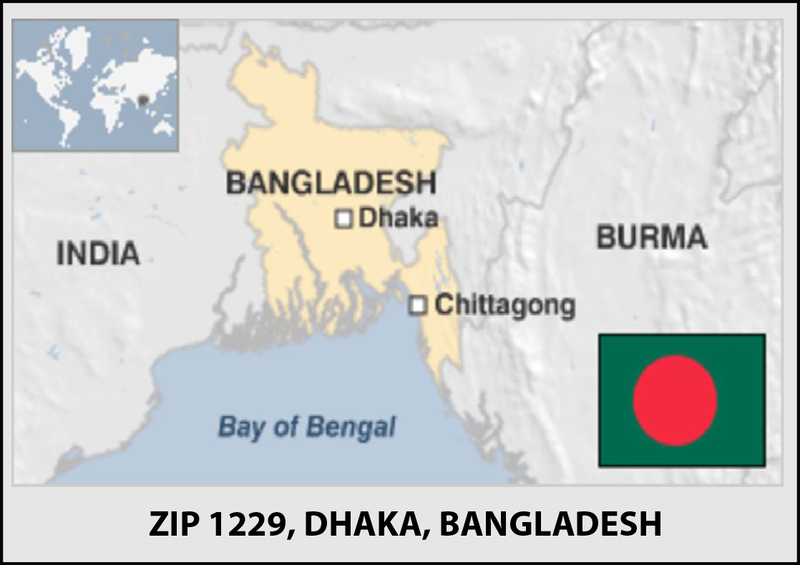 "WELCOME to visit our CORPORATE website"
" KHANJ "is a multi-purpose company in Bangladesh; working worldwide; as 1st class contractor, exporter, importer, manufacturer & distributor. We have been working with some sister concern companies to keep every concern's work disciplined.
" 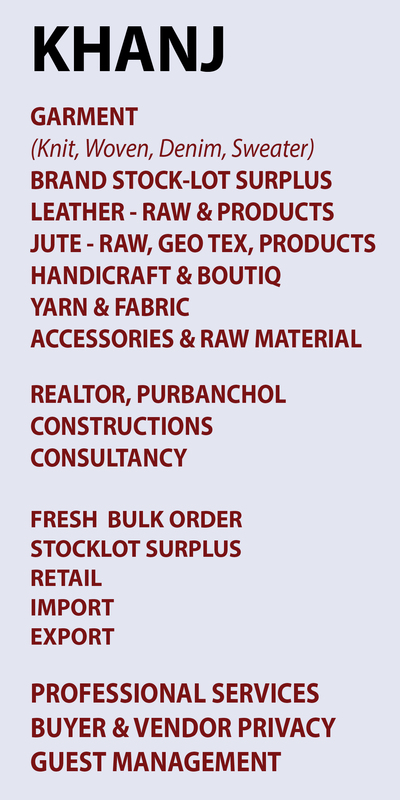 KHANJ " is renowned to worldwide customers because of commitment, quality & effective price. 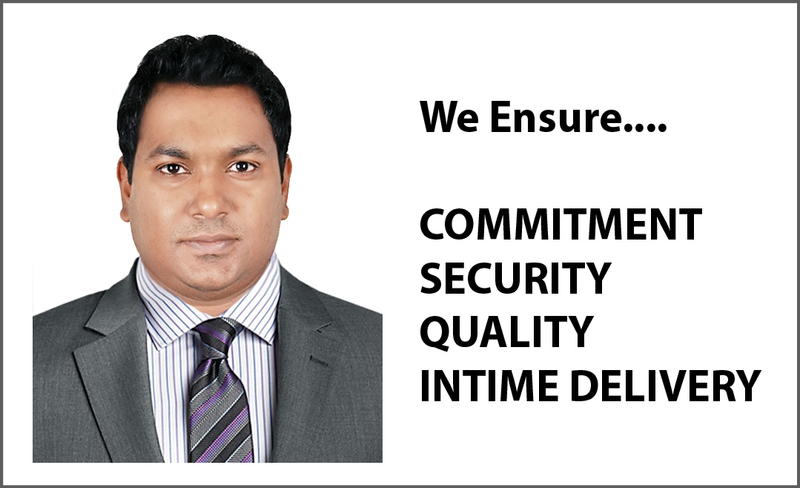 The most important is business privacy & security - that we ensure first.
" KHANJ " has been working with professionals. 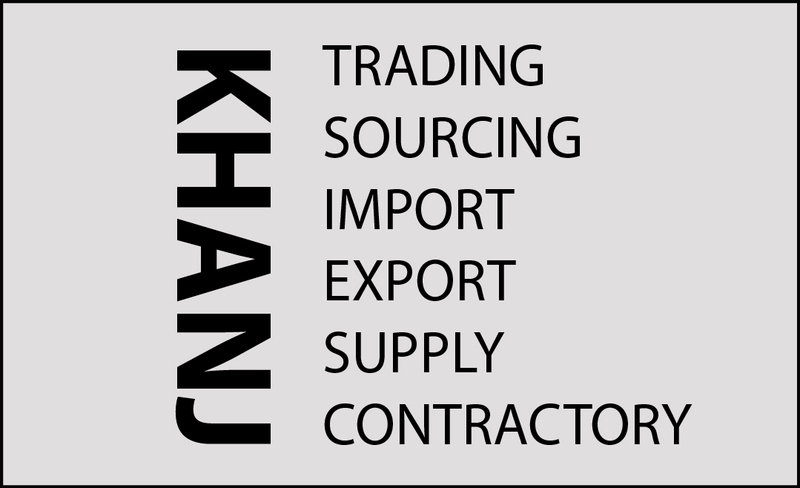 KHANJ welcomes to work together - certified factories, suppliers, agents & buyers - after business / partnership / sales contracts or agreements. You are welcome to check our services.